Considerado o maior reconhecimento da internet pelo New York Times , o The Webby Awards divulgou nesta segunda-feira (28) os vencedores da sua 18ª edição. 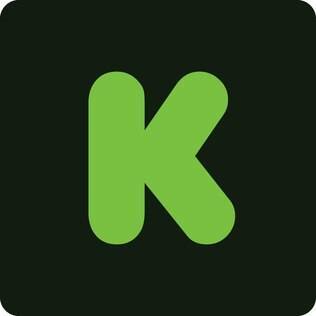 O site de financiamento coletivo Kickstarter é um dos grandes ganhadores e receberá o prêmio Webby Breakout of the Year por provar o imenso poder do crowdfunding, “mudando para sempre a maneira de como investimos, e pelos novos e inovadores projetos”, afirma o comunicado oficial. Além do Kickstarter, Lawrence Lessig, De La Soul, Freddie Wong, and e o time de Bobsled da Jamaica também serão homenageados na cerimônia que será realizada em 19 de maio em Nova York, Estados Unidos. Lawrence Lessig foi escolhido como Webby Lifetime Achievement por seu trabalho em propriedade intelectual enquanto ativista político e por ser co-fundador da Creative Commons. Já De La Soul, eleito Webby Artist of the Year , será homenageado por sua decisão de ignorar as normas de direitos autorais referentes a amostras e de oferecer toda a sua discografia para download gratuito. Já Freddie Wong, Special Achievement , será homenageado pelo trabalho de crowdfunding com a produção de sua série no You Tube, "Video Game High School". Por sua vez, o time de Bobsled da Jamaica, eleito Webby Athlete of the Year, será premiado pelo trabalho de crowdfunding de sua viagem para os Jogos Olímpicos de Sochi. Criado em 1996, The Webby Awards recebeu neste ano 12 mil inscrições de todos os 50 estados americanos e de mais de 60 países ao redor do mundo. A premiação é um oferecimento da International Academy of Digital Arts and Science (IADAS). Todo ano, a IADAS celebra os trabalhos de pessoas que demonstram sério compromisso com a inovação digital, honrando-os com o prêmio special (Special Achievement Awards). Já receberam a honra nomes como Al Gore, David Bowie, Tim Berners-Lee, Amy Poehler e Jerry Seinfeld. Além dos homenageados deste ano, Will Ferrell, Jay Z, Medium, Google, Netflix, Mashable, Vine, QuizUp, Zach Galifianakis e Justin Bieber e Airbnb estão entre os vencedores do 18º Webby Awards. O júri da Academia Internacional de Artes Digitais e Ciências (IADAS) foi composto por David Karp, fundador do Tumblr, Arianna Huffington, Kevin Spacey, produtor de House of Cards, e Dana Brunetti, da Trigger Street Productions. Eles selecionaram os vencedores em várias categorias enquanto 500 mil fãs de mais de 200 países e territórios ao redor do mundo votaram para escolher os vencedores deste ano do The Webby People's Voice Awards, com Vice Media (7) Google (5) e Tumblr (4) liderando as vitórias. Apresentado pelo aclamado ator e comediante Patton Oswalt, a cerimônia deste ano será no Cipriani Wall Street, no dia 19, e estará disponível no webbyawards.com , a partir das 10h (horário de Brasília) na terça-feira, 20 de maio. Jay Z’s Magna Carter Holy Grail App venceu o prêmio Webby na categoria Best Music App. Funny or Die ganhou três prêmios, incluindo o Webby e o People’s Voice Award por “Between Two Ferns with Zach Galifianakis and Justin Bieber” na categoria Best Comedy: Long Form or Series category. Arcade Fire venceu o the Webby e o People’s Voice Award por “Just a Reflektor” na categoria NetArt Websites e o Webby na categoria Best Music (Film and Video). The Onion atingiu recorde ao receber o 21º e o 22º Webby Awards na categoria Best Humor. Conan O’Brien venceu três prêmios, incluindo o Webby por Team Coco Sync App na categoria Handheld Devices Entertainment. Mario Batali venceu o Webby na categoria Best Celebrity Website. QuizUp: Best Social Gaming - (Webby e People’s Voice Award), Best Handheld Game - (People’s Voice Award). Vine: Best Use of Mobile - (Webby e People’s Voice Award), Social Media Website (Webby Winner). Medium: Best User Experience - (Webby Award), Best Visual Desig - Function (Webby e People’s Voice Award). Artsy: Best Art Website - (Webby Award). Red Bull: Best Variety Channel - (Webby Awards), Best Sports Website - (People’s Voice Award). Vimeo: Best Visual Design – Function site (People’s Voice Award), Best Entertainment Channel (Webby and People’s Voice Award). Dots: Best Visual Design: Aesthetic in Mobile - (Webby Award), Best Mobile Game - (Webby Award). Vsauce: Best News and Information, Vídeo - (People’s Voice Award). Squarespace: Best Visual Design: Aesthetic in Mobile (Webby Award), Best Web Services & Applications Website (Webby & People’s Voice Award). Refinery29: Best Fashion & Beauty Website - (Webby e People’s Award), Best Email Newsletter - (Webby Award). Mashable: Best Business Blog Website - (Webby e People’s Voice Award). J.Crew: Best Fashion & Beauty in Social - (Webby Award). The Guardian’s NSA Files: Decoded: Best Website Practices - (Webby Award). Airbnb: Best Travel Website - (Webby Award), Best Travel App - (Webby Award). TED (6) Best Education & Reference & Apps - (Webby e People’s Voice Award), Education & Discovery in Social - (People’s Voice Award), Best Events & Live Webcast Video - (Webby e People’s Voice Award), Best Variety Video - (Webby Award). Tumblr (6) Best Community Website - (Webby e People’s Voice Award), Best Social Website - (Webby e People’s Voice Award), Best Social Media Website - (People’s Voice Award), Best Corporate Communication Websites - (People’s Voice Award). The Scarecrow (5): Best Mobile Game or Application - (Webbye People’s Voice Award), Best Animation Video - (Webby e People’s Voice Award), Best Integrated Campaign - (People’s Voice Award). Squarespace (4): Best Web Service & Application Websites - (Webby e People’s Voice Award), Best Home/Welcome Page in Websites - (Webby Award), Best Visual Design – Aesthetic Websites (Webby Award). WIRED.com (3) Best Websites Magazine - (Webby e People’s Voice Award), Best Writing in Websites - (People’s Voice Award). Quiz Up (3) Best Mobile Social Game - (Webby and People’s Voice Award), Best Mobile Games - (People’s Voice Award). Vine (3) Best Use of Mobile Video - (Webby e People’s Voice Award), Best Social Media Websites - (Webby Award). Pandora (3) Best Music Websites - (People’s Voice Award), Best Mobele Media Streaming Service - (People’s Voice Award), Best Mobile Music App - (People’s Voice Award).